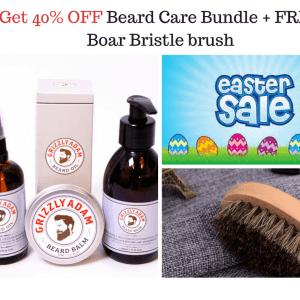 PREMIUM BEARD OIL – Keep Your Beard Healthy, Groomed and Tamed Naturally. Moisturizes Beard Hair and Skin, Eliminates Itching and Dandruff (Beard-druff) for a kissable and respectable beard. 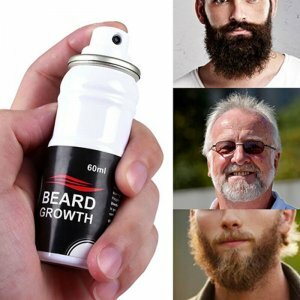 Use daily for the best beard effect. 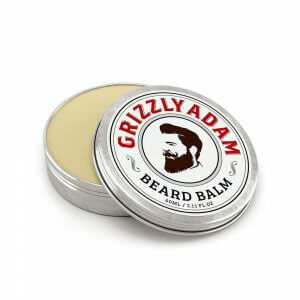 TRAVEL SIZE 30ML BOTTLE – Perfectly sized for the gym, a weekend away or faraway holidays, Grizzly Adam Beard Oil 30ml Travel Size features a lightweight bottle with an easy to control pump that ensures you get the perfect amount every time. HEALTHY SHINE – Strengthens the hair from the root and gives deep nourishment, rejuvenating the hair and hair follicles providing a natural healthy shine. Right, this oil, is the best oil that I have come across, a lot of brands claim that they improve this and care for that, stop...I have been using this oil for just 2 weeks, and my beard has never felt so full of life, it feels great and smells amazing! GIVE ME MORE!! Having used many different oils in my beard in the past, I was more than happy to try this one. After ordering, it arrived super quick (impressive) and not being one to wait, I opened it straight away. First things first I stuck my nose in it - it’s gotta smell great and boy it does. A few drops on my fingers, straight to my beard... that fragrance hits you instantly and just wow.. my beard has never felt better! It’s gotta be the best beard oil I’ve found to date! Would I recommend..? **** yeh.. buy it today! biker beard tamed by Grizzly!! I had just got in from a long motorbike ride. I ride open helmet and have a long beard with plaits that flop about in the wind. The middle bit between the plaits tends to get all fluffed up after riding. Anyway, dabbed a nice few drops of this oil on it - smells zingy and fresh - after giving my beard a quick brush and BOOM! nice and smooth / smelling / looking good. Great packaging, easy to use. Argan oil blended in the mix will be a boon for my skin as I do get a bit of druff build up occasionally. Trick is not to go to heavy in use all the time in regards to oils. Give your skin a breather, get it all squeeky clean, massage your hair follicles and use some balm. Then go back to using some oil - your beard will thank you for it. Cheers Grizzly! Prunus Amygdalus Dulis (Almond) Oil, Argania Spinosa Kernel (Argan) Oil, Cedrus Deodara (Cedarwood) Oil, Citrus Aurantifolia (Lime) Oil, Limonene, Linalool. 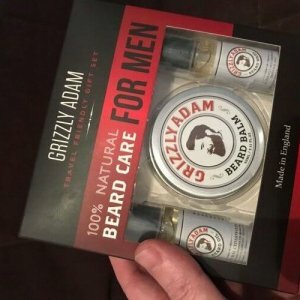 Easy to apply to your beard: -Work in to your clean, freshly washed beard -Start with one pump of Grizzly Adam beard oil applying primarily to the roots -Apply more generously as confidence grows For the best results use twice daily – gently massage into your beard evenly each morning and night for optimum results. Whether you have a small sleek rounded beard or a large attention grabbing squared beard you can keep it looking amazing with the minimum of effort. To make a statement with your beard you will want it to look healthy, sleek and shiny at all times. 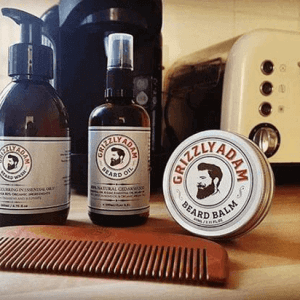 Grizzly Adam Beard oil is a fantastic way to achieve this. 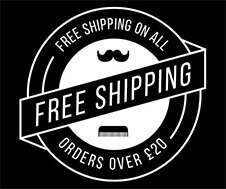 Beard oil is ever increasing in popularity recently and from your first use it should be obvious as to why. 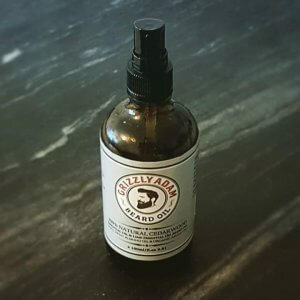 If you still find yourself sitting on the fence about why to use beard oil then here is some information that may just help to sway you. Easy to apply and takes just seconds. You want to apply a few drops to the palm of your hand, rub your hands together and then run your fingers through your beard. 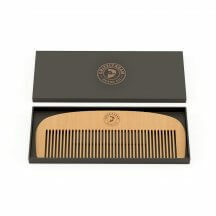 If you comb your hair afterwards then your beard will be suitably covered. 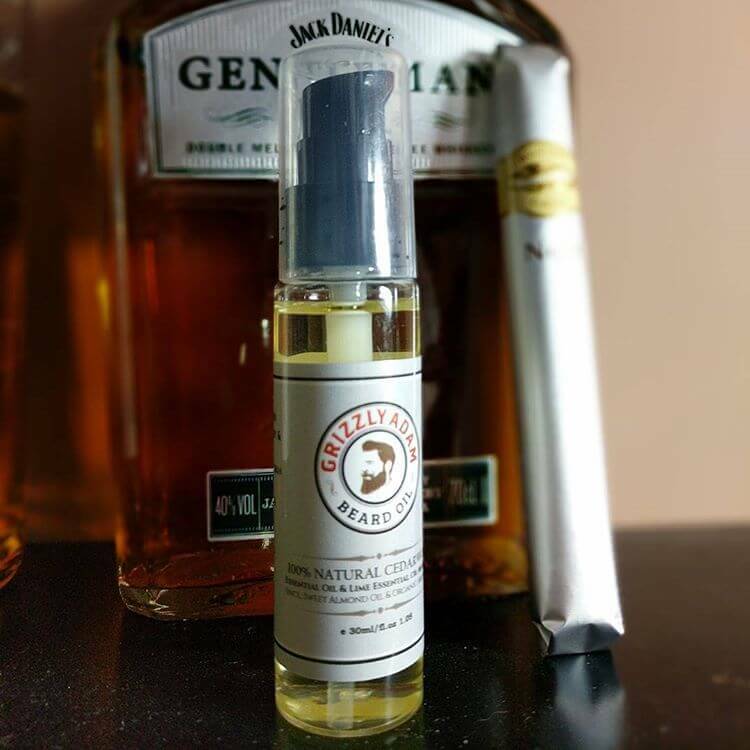 The beard oil will be absorbed in around 20-30 minutes and will leave your beard with a lovely sheen. By using beard oil your beard will be shiny, softer and also smell great too. 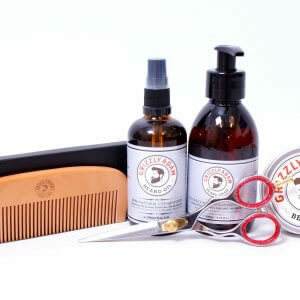 This will help you to appear more well groomed with the very minimum of effort. 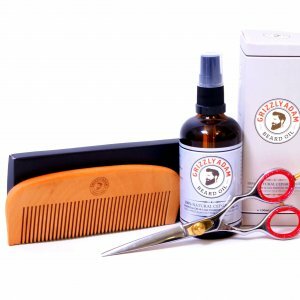 By combing your beard after you apply beard oil you will have a neat & tidy beard that will slowly dry as the oil is absorbed. Beard oil can help to smooth down unruly hairs and avoid your beard looking unkempt. 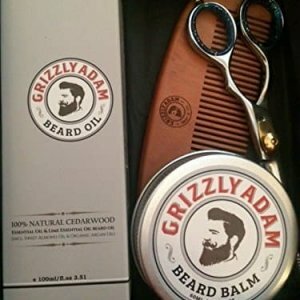 CARES FOR YOUR SKIN & BEARD – Grizzly Adam beard oil helps to hydrate your skin and also to look after your beard at the same time. 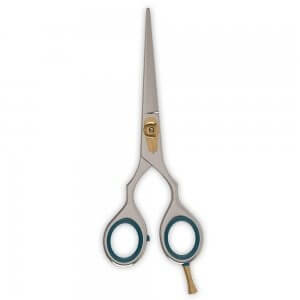 It works to provide essential oil to your skin and this penetrates the follicles of your hair. When your hair follicles are well moisturised this helps to ensure that your hair does not dry out or become brittle. Moisturised skin will be soft and smooth and using beard oil helps to avoid itchy or flaky skin which can cause discomfort. 100% SATISFACTION GUARANTEED: Your satisfaction is very important. 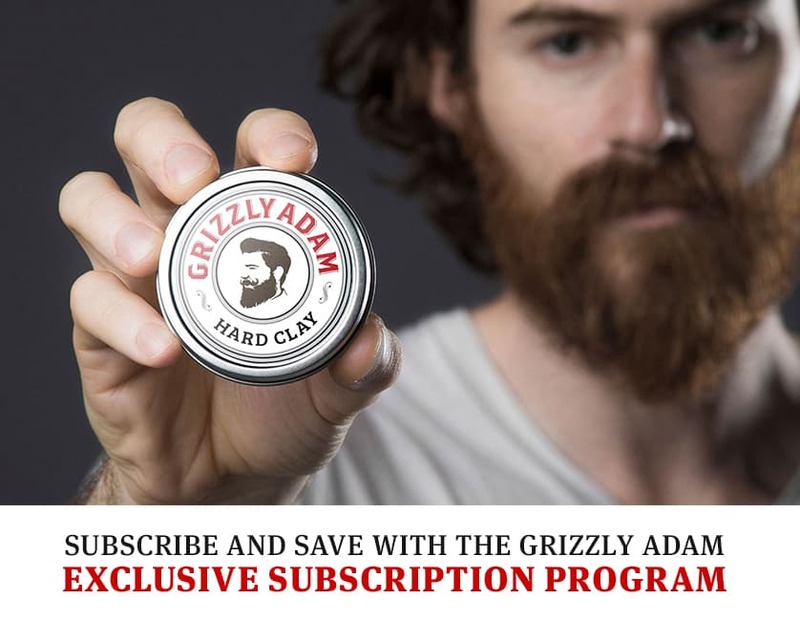 If you are not completely satisfied with your purchase feel free to return Grizzly Adam BEARD OIL for a full and prompt refund.